Citroën has been voted ‘Best Family Car Brand’ in the 2017 Mumii Family Awards. 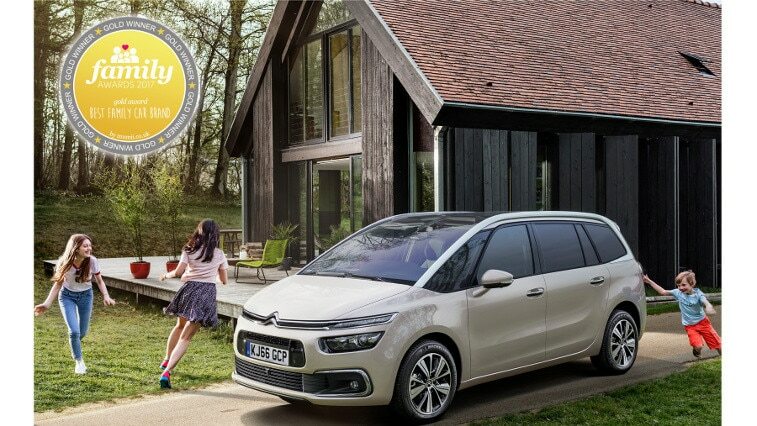 Families across the UK voted for Citroën as the overall Gold winner thanks to the brand’s extensive range of ‘feel-good’ family cars. Models like the multi-award winning Grand C4 Picasso were acknowledged for their market-leading comfort and practicality. Citroën has been voted ‘Best Family Car Brand 2017’ by the British public in this year’s Mumii Family Awards. Mumii is the go-to space for busy mums to find fresh ideas and advice for important family decisions. New C4 Picasso and Grand C4 Picasso were particularly highly rated by Mumii.co.uk readers for their core attributes of comfort, practicality and affordability. New C4 Picasso range is modern and innovative and the class-leading interior space makes both the 5 and 7-seat versions ideal for busy family life. New C4 Picasso and Grand C4 Picasso spearhead the introduction of the Citroën Advanced Comfort® programme, which delivers unrivalled levels of on-road comfort and will be rolled out across the entire Citroën range in the coming years.